About Dr. Nicki Borba, D.C.
What happens at a chiropractic office? 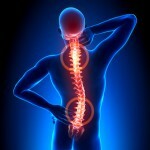 Chiropractic Adjustment Right for You? About Chiropractic – What is chiropractic? Please call 916-797-3030 or click on the 'Schedule an Appointment' menu link above to consult with the best female chiropractor in the Roseville area and near Granite Bay/Rocklin CA. Eternal Life Chiropractic also provides both a male and female massage therapist that specialize in deep-tissue massage. 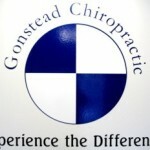 Looking for a chiropractor or chiropractic office in the Roseville/Granite Bay area or near you in your surrounding area(s)? If so, don't hesitate to call the office of Eternal Life Chiropractic or schedule an appointment online now! Eternal Life Chiropractic is located along the border of Roseville and Granite Bay and directly across from California Sun Tanning Salon in Roseville CA.